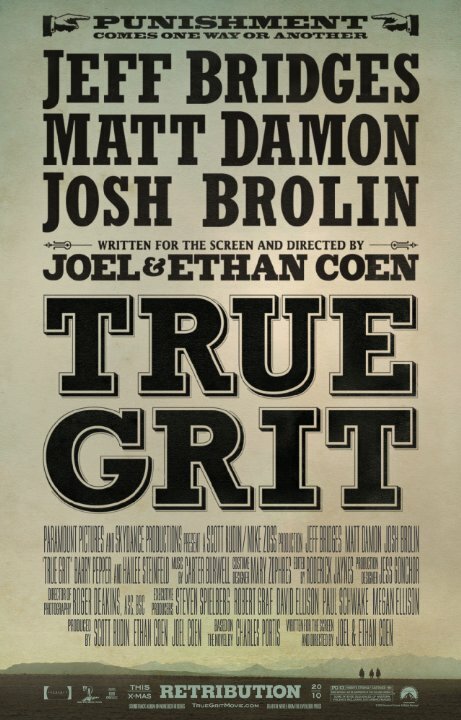 True Grit was fantastic (both the original and the remake). The casting was fantastic. Jeff Bridges did an amazing job as Rooster and really sold the situation. Hailee Steinfeld really held her own with the impressive cast. This is both funnier and more violent than the original movie (more like the book? I don't know). If you like westerns you need to see this movie. I think that many action fans will also really enjoy it. Josh Brolin also does a great job as the bad guy.